2. How do you vet your cleaners? 3. What tasks your cleaner’s complete on regular basis? Affordable Cleaning professionals are trained to complete our standard task list which includes ironing. However we understand you can prepare your own tasks depending on your needs and leave it for the cleaner to complete it. 4. Do you iron shirts and how many per hour? 5. Are you and your cleaners insured? Yes.We have a full Employers Liability cover and Public Liability cover as well as our cleaners. 6. What if something is damaged when my home is being cleaned? Although we take extra care when cleaning your home, sometimes accidents do happen. If breakage or damage occurs as a result of our cleaning we will make every effort to have the item repaired or replaced as long as you let us know within 24 hours after the service has been performed. 7. Do you provide cleaning products and equipment on regular cleaning? Unfortunately we provide cleaning materials and equipment only on One Off/ After Builders/Spring cleaning and Pre/End of tenancy services not on regulars. 8. When will the cleaner come? The cleaning day depends entirely on you and your preferences. You have to choose day which is most suitable for you and we will allocate a cleaner who is local to your area and will be able to clean your property on the same day each week. 9. Will I have the same cleaner on each visit? Yes you will have the same cleaner on each visit except if she goes on holiday or is not feeling well. In these cases you will be notified and offered a replacement cleaner. 10. Do I have to provide keys to the cleaner? Not necessarily. The cleaner can come at certain time on each visit. However having keys for your property gives us more flexibility and better chance to arrange a cleaner who is local and when you come back form work you will find your home sparkling. 11. What happens if I am not happy with the quality of the clean? If you feel that your regular cleaner is not achieving the standard you expect we will do a spot check and resolve the problem. If after that there is still no improvement then we will change the cleaner. 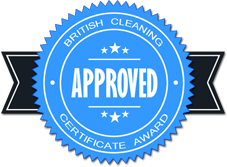 We understand it is quite frustrating not to get the service you expect and as Affordable Cleaning representatives we do our best to provide the highest possible standards. 12. What is the procedure if I need to change the cleaning day or cancel a service? If you need to change the cleaning day we need at least a week notice. If you would like to cancel or reschedule service, we need at least 24 hours notice. 13. Do I pay to you or to the cleaner and is there any agency fee that applies? We prefer if you pay directly to the cleaner for the first few visits after that if you want you can set up a direct debit to our account. There is no agency fee or additional charges on top of what you’ve been quoted. 14. What shell I do If the sheduled cleaner does not turn up? If your cleaner doesn’t turn up, please contact us immediately. You might be entitled to compensation if she is late more than 30mins. 15.What do I need to do if I do not need your services anymore? As there is no length of our contract you canterminate the service any time you like as long as you give us at least two weeksnotice. 16. What carpet cleaning method do you use? Affordable Cleaning specialises in deep cleaning carpets leaving them looking great and germ free. Our professional deep cleaning system uses self-neutralizing chemicals that flush the dirt and pollutants from the fibres, leaving your carpets clean and fresh again. The carpet cleaning chemicals and shampoos we use are non-toxic, hypoallergenic, biodegradable and fast drying. 17. Can you guarantee that all stains will be removed? Affordable Cleaning uses the latest technology when it comes to carpet cleaning. However removing stains is very difficult process. We need to know what the nature of the stain is, how long it has been on the carpet, have you tried to remove it before contacting us and what the texture of your carpet is. Some stains (from blood, red wine, dark tea or coffee, oil etc. )can not be completely removed as they colour or damage the fabric of the carpet immediately. To achieve maximum result you need to contact us as soon as the stain appeared. 18. How long does it take for the carpet to get dry? Depending on the fabric it may takes up from one to two hours for your carpets to get completely dry. To speed up the drying process we recommend you to open all windows, turn on the heaters or fans. You can still walk on the carpets however it is advisable to wear clean shoes. 19. How much is the minimum call out charge? Our minimum call out charge starts from £50. However the charge may be higher depending on the location of the property. For more details please contact our advisers. 20. Do you steam clean sisal or seagrass carpets? Unfortunately these types of fabrics cannot be steam cleaned as they are made from natural fibre and melts when exposed on high temperature. 21. Do you move furniture when you clean carpets? Affordable Cleaning offers professional services and high standards. In order for us to achieve the best results we move as much of the furniture as possible. 22. Do you provide cleaning equipment and materials? Provision of cleaning detergents and equipmentis included in the charge you have been initially quoted by one of our representatives. 23. Can I leave your cleaners unsupervised? Our cleaners are fully trained, vetted,insured and disciplined to provide high quality service. You can leave them at the property to carry out their job as long as you are there in the begging of the service to let them and towards the end to inspect their work. However if you do not feel confident in leaving them at the property unsupervised you are more than welcome to be there the whole time. 24. Do I pay you or do I pay to the cleaner the full amount? You can pay to us but it is preferable to pay directly to the cleaner at the end of the service. We take payments in cash, cheque, direct debit and standing order. 25. Do you dust walls and ceilings on after builders clean? Our cleaners are fully trained to provide professional After Builders Cleaning Service. We mainly concentrate on the dust which is normally built up on the walls and ceilings.Therefore our aim is to clean as much of the dust as possible which includes dusting all surfaces, walls and ceilings. 26. Do you do the windows? 27. Do you wash walls? Unfortunately Affordable Cleaning Cleaning does not specialize in washing walls as we can not be sure if the paint is washable or not. However if you request us to clean certain spots we will try to remove them as much as possible under signed Agreement between you and Affordable Cleaning Cleaning that you will not hold us or any of our representatives responsible for damages caused during the cleaning. 28. Do you have minimum hours per visit for One Off cleaning? 29. What do you do on One Off services? 30. Do I pay you or do I pay to the cleaner the full amount? You can pay to us but it is preferable to pay directly to the cleaner at the end of the service. We take payments in cash, cheques or by card.